the sweetness of these scenes is heightened by the fact that the creeper, the cloud and the baby have surrendered in all purity to the sources of their support. But, when we pray to God to grant a wish or look after us, we almost, always do it half-heartedly. Our surrender, if at all, is partial and questionable. We do not believe that God is really omnipotent, omnipresent and omniscient, although we may say it often. Therefore, we are not at peace, despite praying. 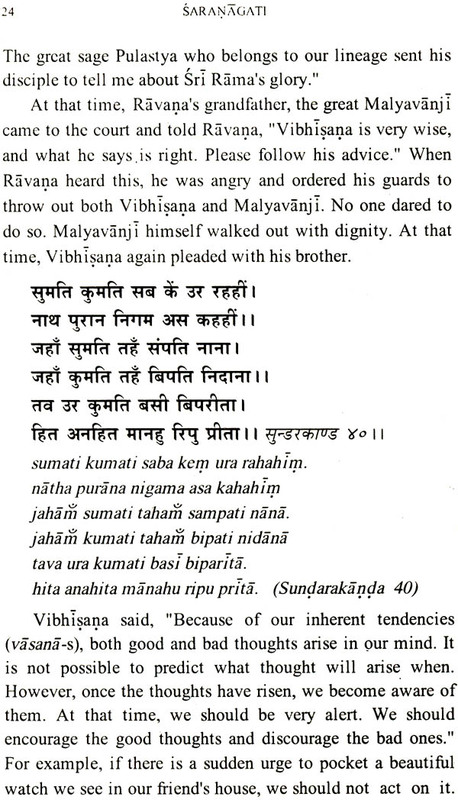 Our surrender should be like that of Vibhisana's. 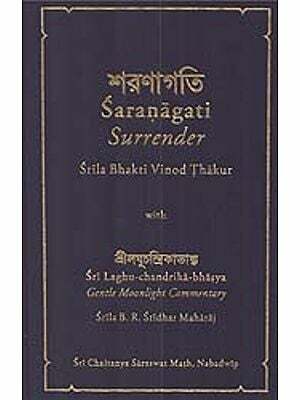 Swami Tejomayanandaji, in this book, explicitly and lucidly defines surrender, the need to surrender and the factors that lead to true and unconditional surrender. Chinmaya Mission, Los Angles, had organized a spiritual camp in California, United States, in June 2000. It was conducted by Param Pujya Guruji Swami Tejomayanandaji. 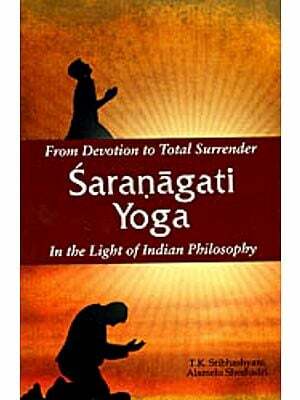 He spoke on the topic of saranagati, and explained the same through the life of Vibhisana as given in the Tulsi Ramayana. The talks were so inspiring that the need was felt to bring it out in book form for the benefit of the devotees. We, at the CCMT, take great pleasure in publishing this book in the Golden Jubilee Year of the Chinmaya Mission as an offering at the holy feet of Param Pujya Gurudev Swami Chinmayanandaji.